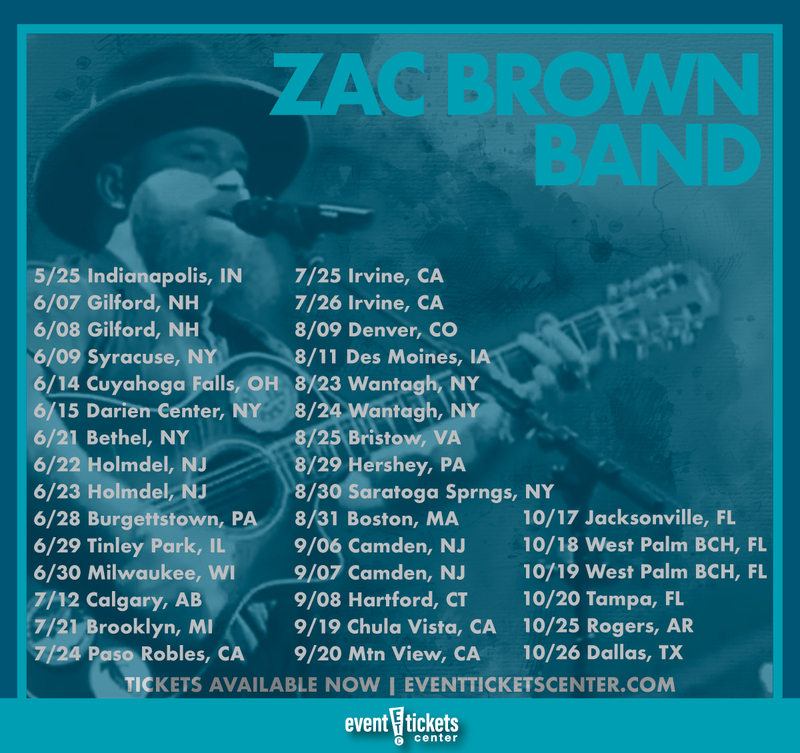 Bummed you won’t be able to see Zac Brown Band this spring? Well, fear not ZBB fans – the band has revealed plans for yet another extensive tour that’s set to bring the country rockers to stages across the US this summer! “The Owl Tour” kicks off May 25 in Indianapolis, IN and is set to hit cities including Milwaukee, Des Moines, Saratoga Springs, and Jacksonville. The 30-date trek will wrap up with a final performance at The Dos Equis Pavilion in Dallas, TX on October 26. Highlights include two stadium performances at Coors Field in Denver on August 9 and at Fenway Park in Boston on August 31. The upcoming run of shows will launch on the heels of ZBB’s “Down the Rabbit Hole Live Tour,” which is set to conclude this spring. “The Owl Tour” will feature support from Lukas Nelson & the Promise of the Real and Caroline Jones on select dates and will be in honor of the band’s upcoming sixth studio album. Further details surrounding the album are yet to be released, however fans can expect to see “Someone I Used to Know” included on the track list. The single, which the band co-wrote with pop star Shawn Mendes, was released last fall. Who Is Zac Brown Band? Country singer, songwriter, and bandleader Zac Brown first began playing music as a high school student. Drawing on inspiration from folk sensation James Taylor, he started playing solo gigs, performing cover songs in local venues. Brown set out to hit the road at the age of 19, touring extensively throughout the Southeast US. Accompanied by a drummer and his loyal dog Pete, he began laying the foundation for what would become the Zac Brown Band less than a decade later. Zac Brown Band made their mainstream breakthrough with the release of their first major-label studio album The Foundation in 2008. The album earned a triple-platinum certification, launching the group to commercial success on the strength of massive hit singles “Whatever It Is,” “Toes,” “Chicken Fried,” and “Highway 20 Ride,” the last three of which reached the number one spot. In the years since their breakthrough debut, the band has released four additional albums, including the platinum certified You Get What You Give (2010) and Uncaged (2012). 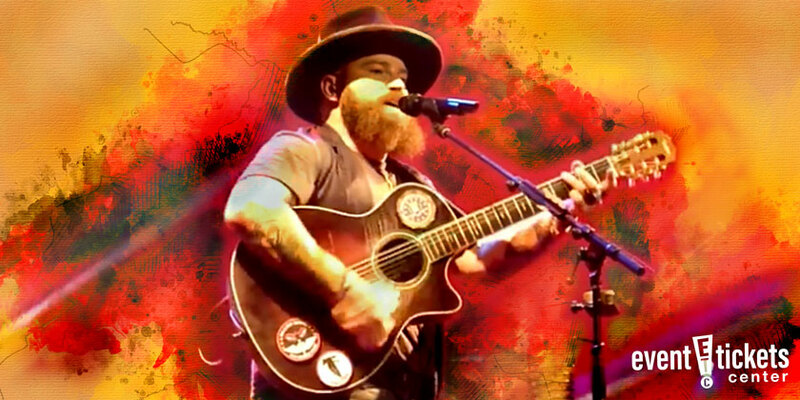 Zac Brown Band is known for their upbeat musical style and their winning combination of blue grass, country, and reggae. Their unique blending of genres appeals to a diverse fanbase, expanding their reach far beyond the confines of the country music genre. They have collaborated with several big-name artists from a variety of musical backgrounds, including Jason Mraz, Dave Grohl, Jimmy Buffett, Trombone Shorty, and Avicii. Where is Zac Brown Band playing near me?